Detail of the memorial to those who served in the Korean and Vietnam Wars, located at the northwest corner of the building. The center of the obelisk has seals or logos of the United States Army, the United States Navy, the Department of the Air Force of the United States of America, the United States Coast Guard, and United States Marine Corps. 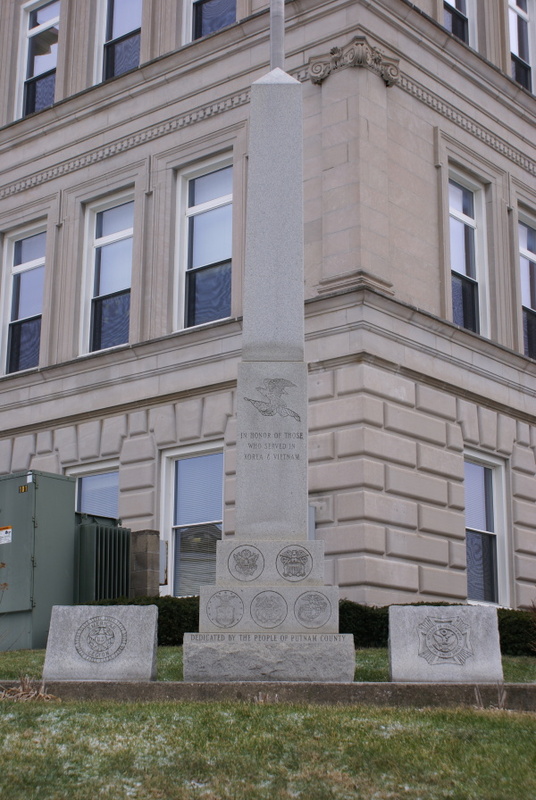 The monument at left has the American Legion logo and the one at right has the logo of the Veterans of Foreign Wars of the United States.